The dynamic climate and weather that Lafayette experiences year-round can be brutal on the exterior of your home, which is what makes the residents in this city excellent candidates for the services of the Lafayette siding replacement experts at Scottish Home Improvements. The unique and varied architectural styles of our homes in Lafayette leads to the necessity of diverse solutions for different homeowners. For many property owners, the price will normally be a factor in the decision as to which siding product to use, as well as the return on investment provided and the subsequent increase in the equity of their home or business. With the help of Scottish Home Improvements, you can select a siding product that will preserve your home’s condition and beauty for years to come. In recent years, greater numbers of homeowners have begun to choose fiber cement James Hardie® siding for their Lafayette residences because of the product’s durability, appearance, and low maintenance requirements. You can use this particular type of siding in combination with other finishes on the exterior of your home. It can be created to blend and coordinate with elements like natural stone and also take on the stunning appearance of cedar. Further still, fiber cement James Hardie® siding helps Lafayette homes resist the warping or rotting that so often results from the fluctuating temperatures and precipitation that severe Colorado winters are so well-known for. It’s also resistant to fire and pests, hazards that are well known to cause damage to homes in the Lafayette area. James Hardie backs its ColorPlus® products with the strongest warranty in the industry – 30-year nonprorated, transferable, limited product warranty with a 15-year limited warranty on its ColorPlus® Technology finish that covers both paint and labor. This means that you can rest easy knowing that the results of your siding installation will remain in pristine condition for years to come, and if the elements should somehow affect your siding, you will be covered under a comprehensive warranty. Fiber cement siding is a viable option for residences throughout Highlands Ranch. You can select this particular siding for commercial purposes, too, or you can choose from one of our other spectacular siding options below. Lafayette home and business owners will find that steel siding can provide an affordable solution for their property protection requirements and also maintain a beautiful appearance. This type of siding is certainly durable and has a modern, industrial look that’s perfect for commercial properties, townhomes, and single family homes alike. James Hardie® VerticalPanel® stucco siding is also gaining more popularity in the area as one of the most stunning and versatile siding options for Lafayette home exteriors. Additionally, Lafayette homeowners who choose stucco-style siding for their residences will avoid being plagued by the common cracking or chipping concerns which are so often an issue for typical traditional stucco. 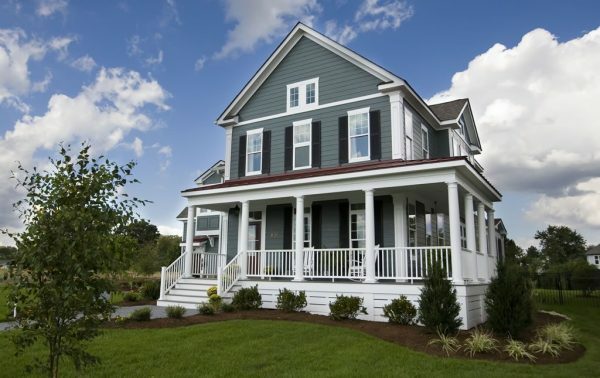 Vinyl siding is always a great option, especially since it’s low maintenance and versatile. Additionally, vinyl is an affordable solution that can be the most practical choice for homes within a certain value range. If you’re like many Coloradans and love being outdoors, you’re sure to love the natural beauty of wood siding. Wood and cedar siding make beautiful additions to Lafayette homes both as a primary siding material and accent. At Scottish, we offer both traditional wood siding as well as fiber cement and engineered wood siding from LP SmartSide. Stonework is a popular choice of siding for homes in high-end neighborhoods in Lafayette. Stone siding is colorful, durable, and weather resistant. It can be combined with other siding materials or used entirely on its own for a historic look. Another affordable alternative to most types of siding replacement, siding repair allows Lafayette residents to retain their original siding while reinforcing its protective qualities and complementing its current visual appearance. Scottish Home Improvements can match the look, feel, and materials of your current siding to provide you with a seamless siding repair. Over the past 10 years, Scottish Home Improvements has worked with the residents of Lafayette. We are extremely proud of our craftsmanship and will gladly point out our work to allow you to drive past many of these homes and see firsthand the difference our new siding has made. Call us today for your free estimate and join the many other Lafayette folk who have trusted Scottish Home Improvements.